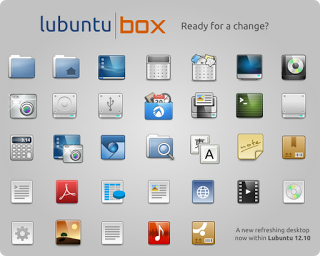 The new Box icon theme is (almost) finished, already pushed up onto Launchpad for being merged with *buntu repos. So, if you’re a lucky person because you installed Lubuntu 😀 then a simple update will change the icons to the new ones soon. But if you don’t like them don’t worry, the original Elementarized is still there. This was an extremely hard work. Every icon is being retouched pixel by pixel so you c an get a nice interface and you’ll be comfortable with your desktop. I’d like to dedicate this theme to my “mentor” and inspiration icon guy, Jakub “Jimmac” Steiner, and of course, Dan Rabitt, the creator of Elementary, both obligatory references in the interface design scene. Oh, and to all the Lubuntu crew, specially the one who usually saves my life designing with me, Alexander Andjelkovich, another member of the Lubuntu Artwork Team.